1. As a bin for putting anything, such as fruit, vegetable, flower, grass or any food. 2. Playing as game for all friends to throw anything precisely there. 3. Niche design where the supermarket and mall would not import due to not the common design widely use by everyone. 4. Outstand the special of your utilities and effectively creating the amazing and surprising for the people or guest to open the talking topic. It makes with bamboo and integrates with the bamboo wires. It can afford to be full of fruit due to its firm mechanical design and skillful crafting from the assembling technician. 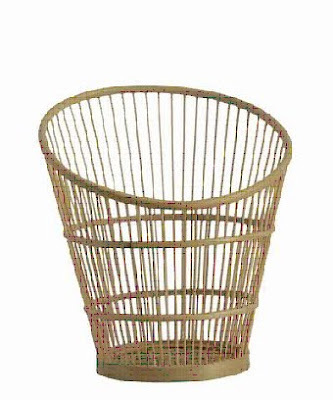 And the bucket use purely the bamboo materials without adding other chemical add-ons which ensure all are completely environmental. If the user want to be the DIY home decor, it can also paint with the own color there, the bamboo material is accepted for the color on.